You can never go wrong with a staple pair of black jeans for girls. Browse through a range of styles that include high waisted and black skinny jeans. For a cool casual look, wear a knitted jumper with a pair of black ripped jeans. 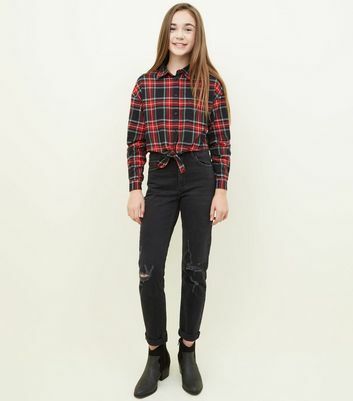 Shop your desired girls' black jeans today.